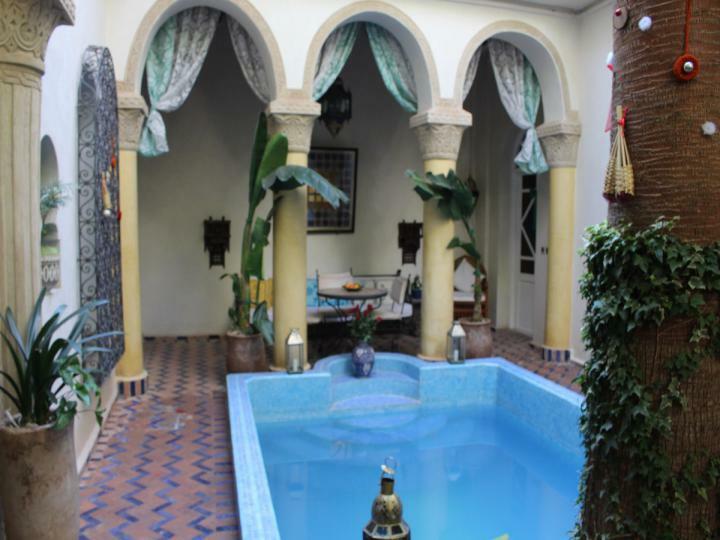 Opportunities like this don’t come up very often. 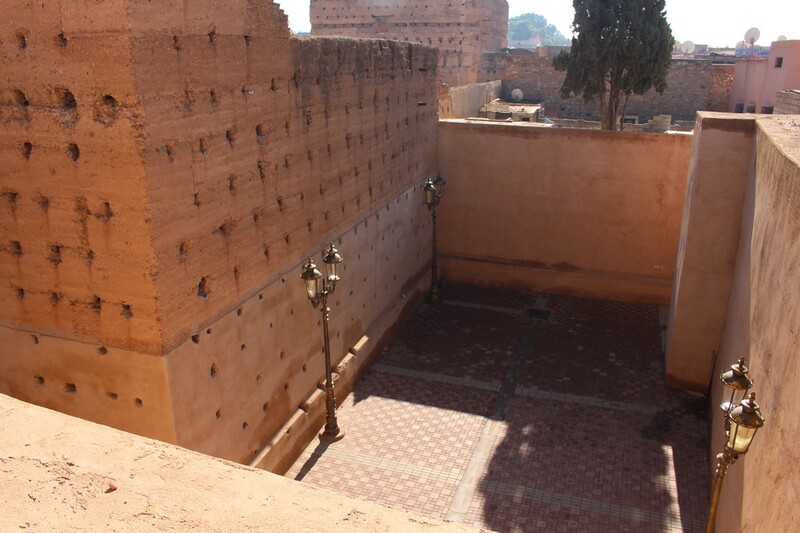 Immediately neighbouring one of the most popular attractions in Marrakech, the Baadi Palace, and with permission pending to knock an entrance through to the main Palace throughfare, the investment potential here is unique. 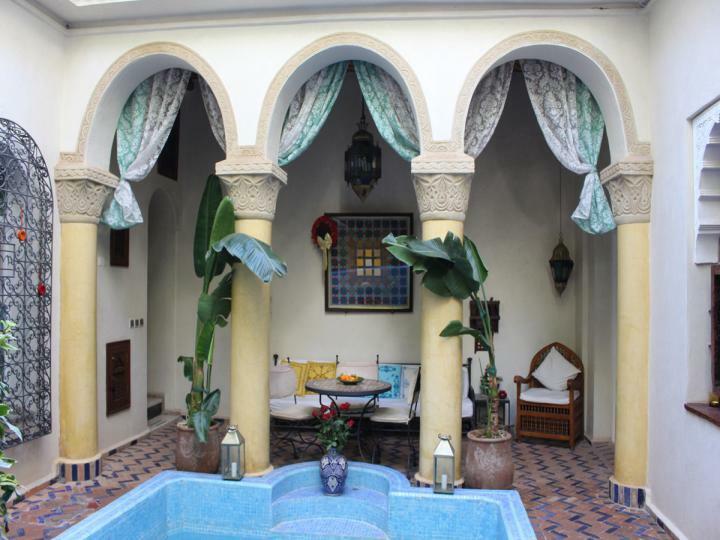 There are 8 elegant suites and ensuite bedrooms, 2 courtyards, a plunge pool and a roof terrace with views to die for. 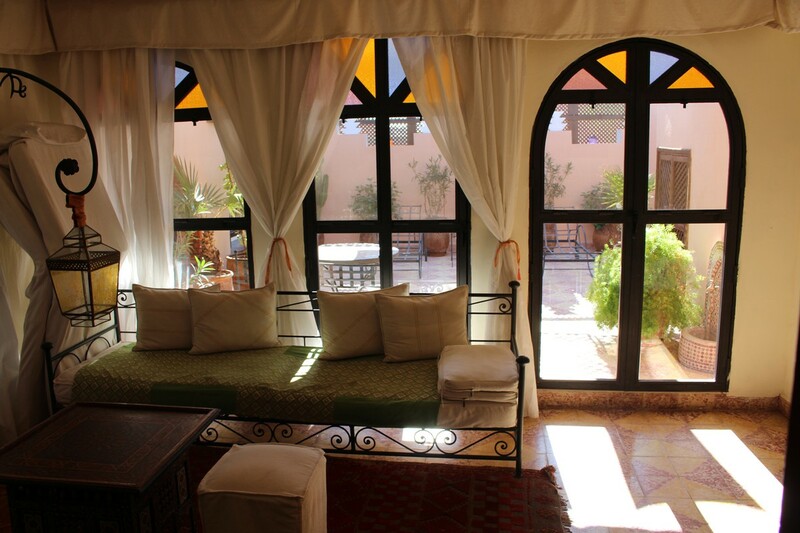 The galleries and ‘bhous’ (sitting rooms) offer a comfortable place to relax out of the heat of the sun before heading to the roof terrace to watch the sun go down over the city and Atlas mountains beyond. 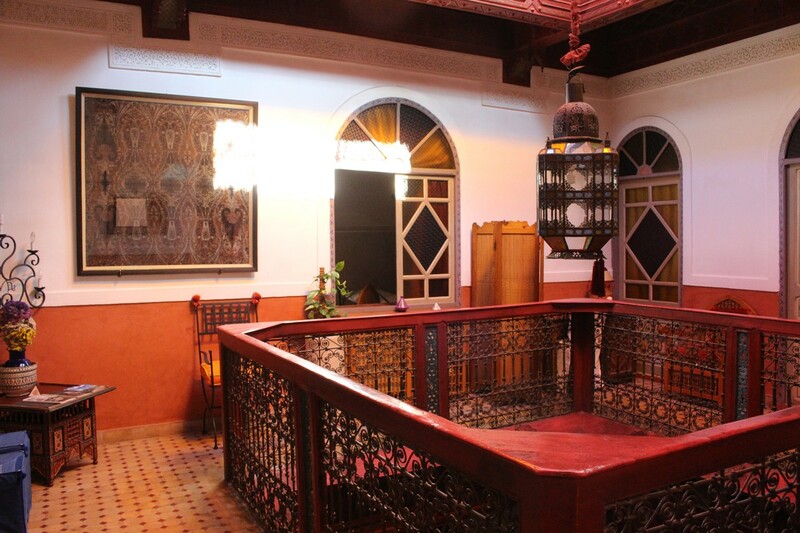 The house has a long history of Royal involvement as well as some intrigue involving the old Jewish families of the Medina. 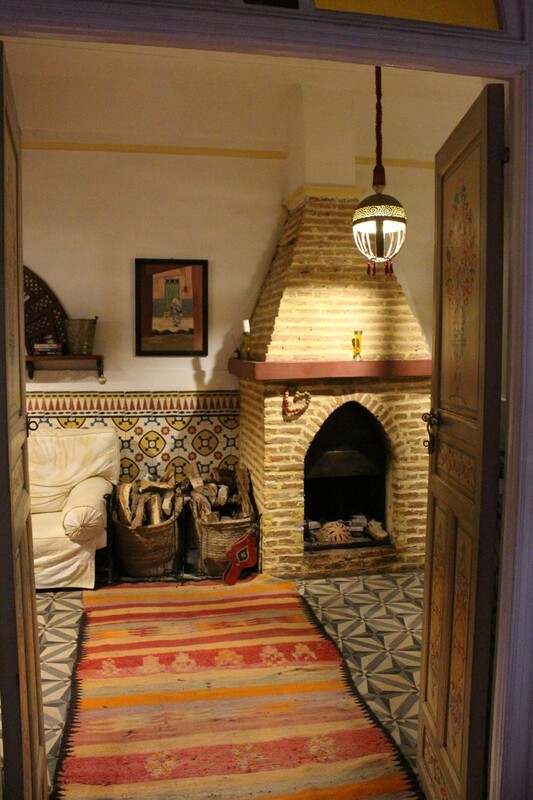 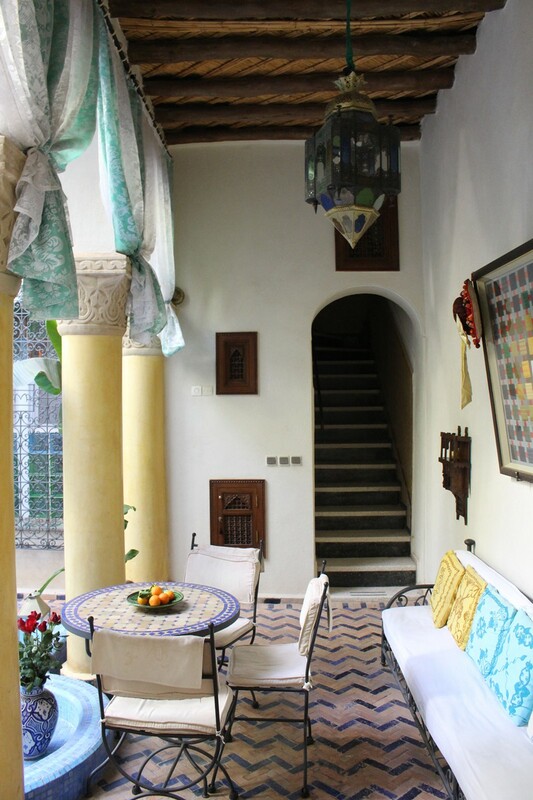 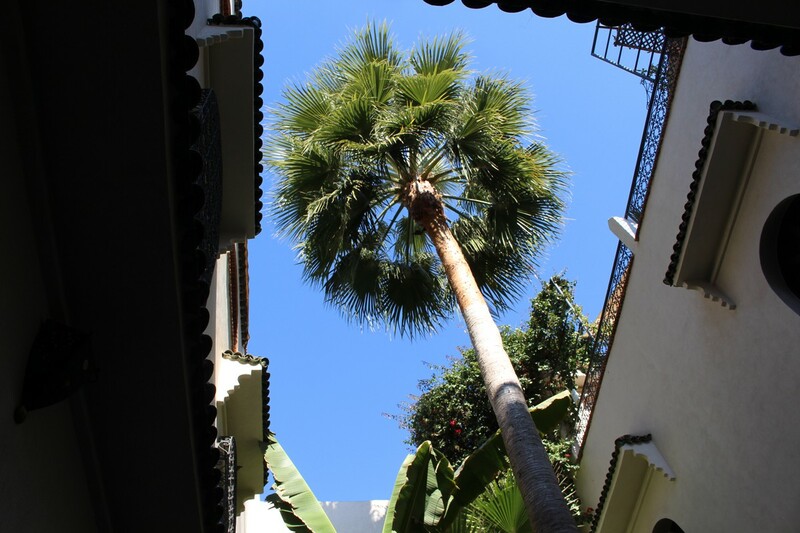 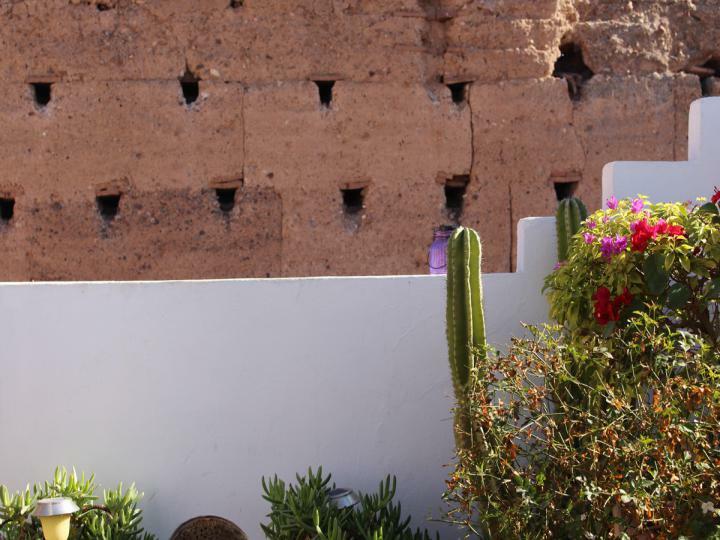 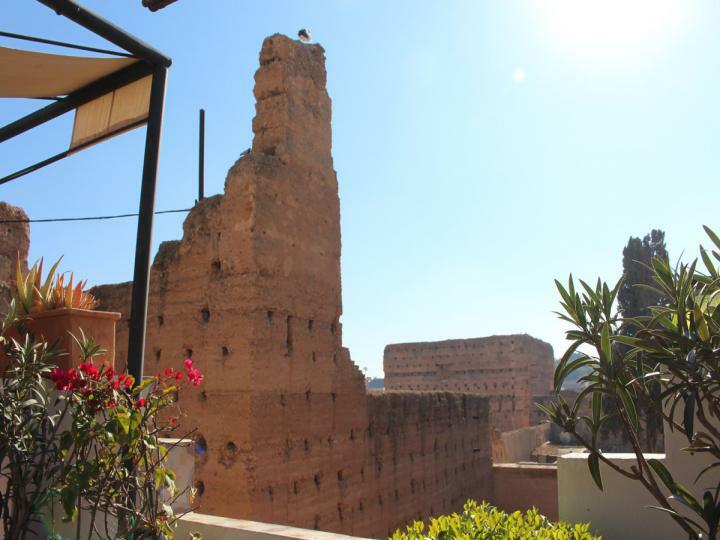 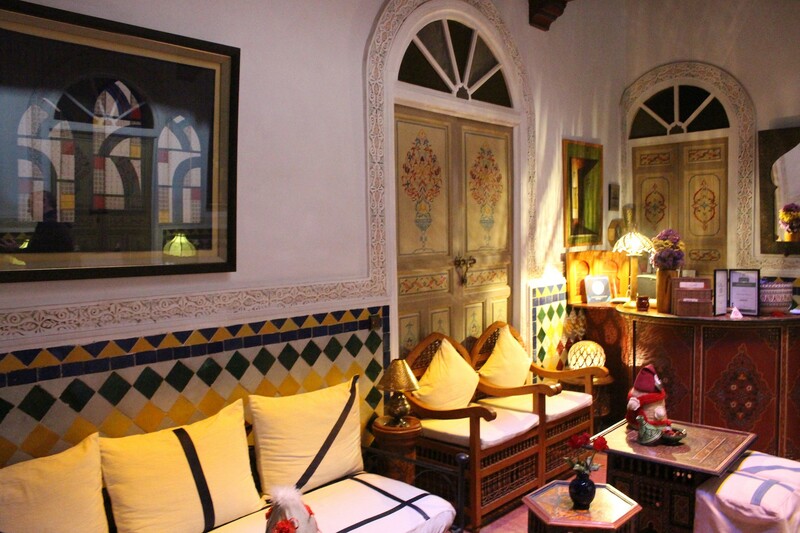 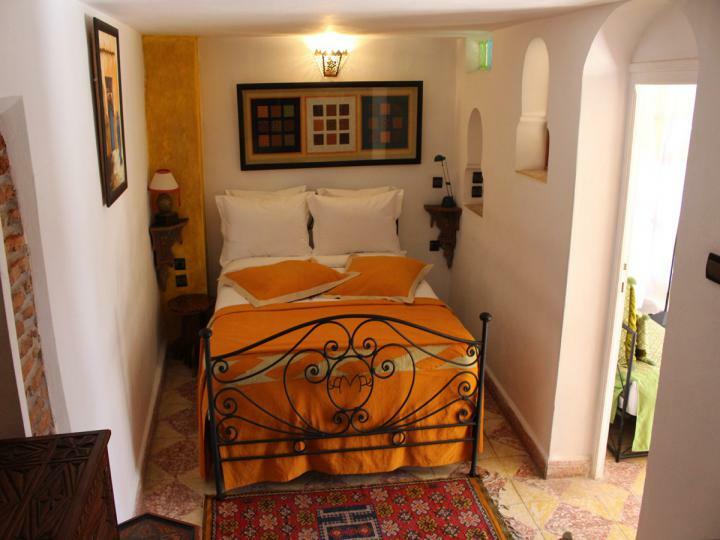 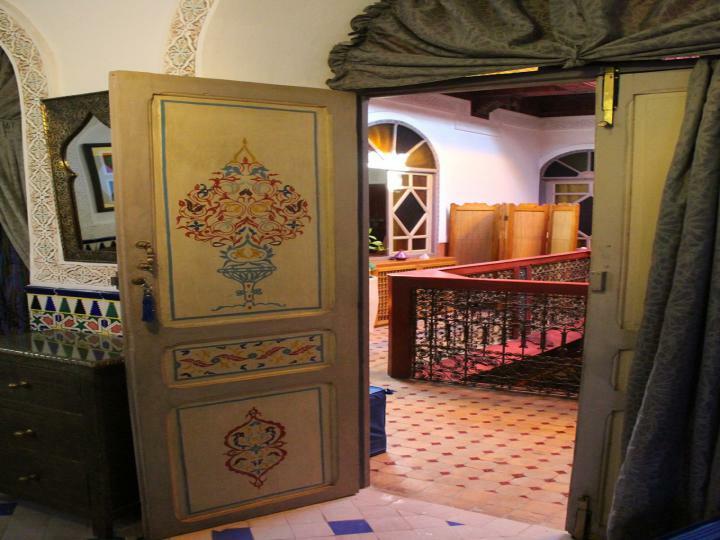 Whilst the ancient riad would benefit from a lick of paint, it is charming, with original wood and stone throughout. 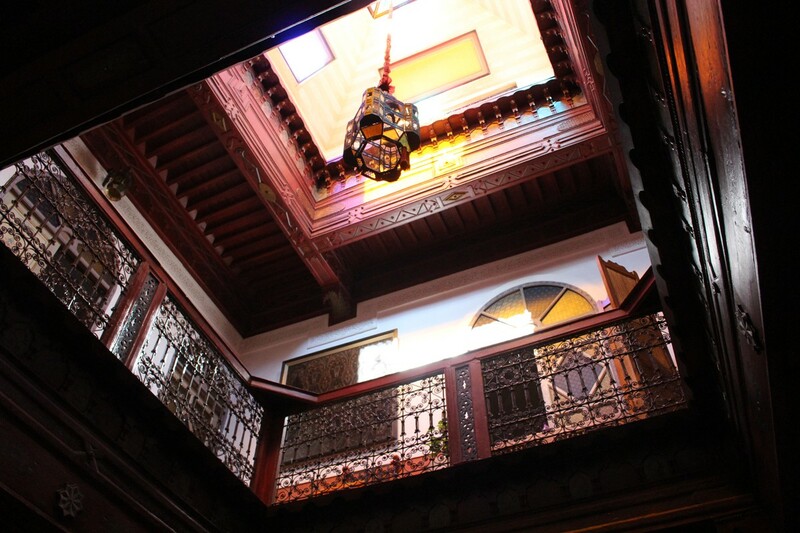 The beautiful structural features, the floor tiles, balustrades, wall and ceiling detailing are elegant and refined. 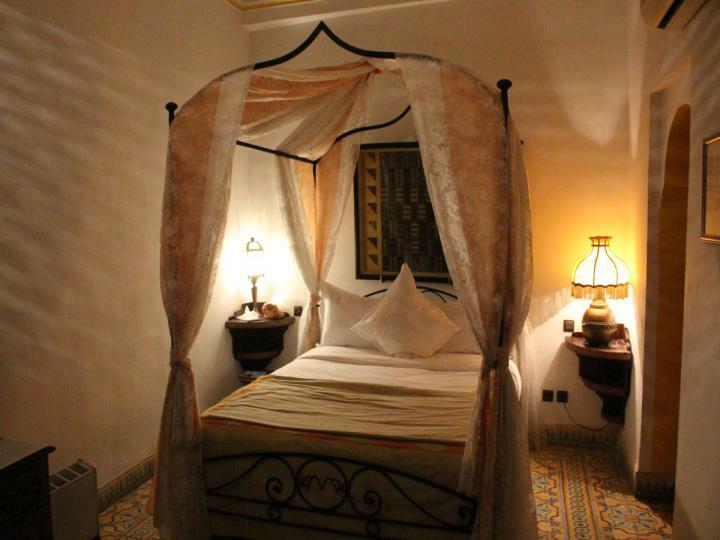 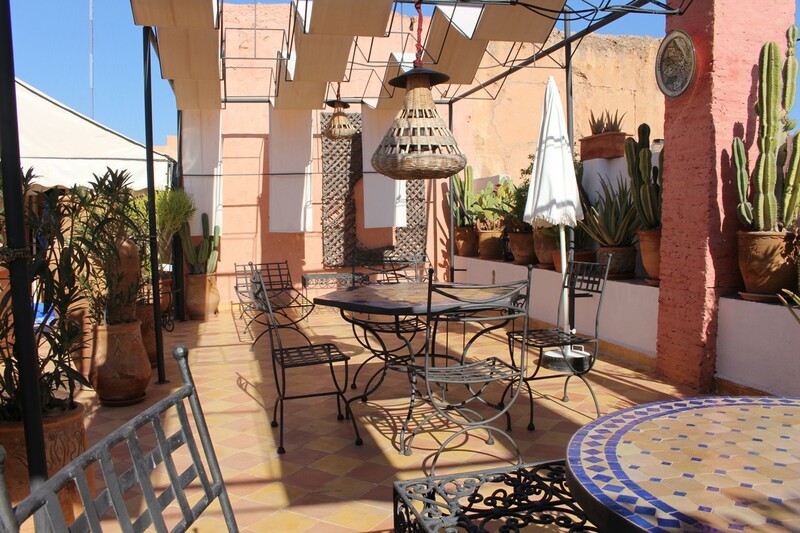 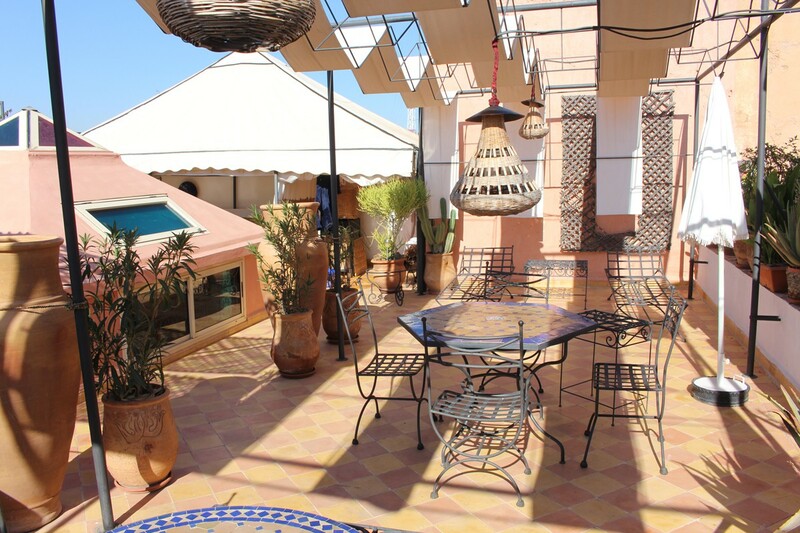 The current owners run the riad as a successful guesthouse and are only now selling for health reasons. The plans submitted to the city council request a new doorway from the riad out to the passageway that runs in front of the palace, a well known tourist hotspot. This is a really exciting proposition. An excellent spot for a for a top-class restaurant and luxury boutique hotel perhaps? 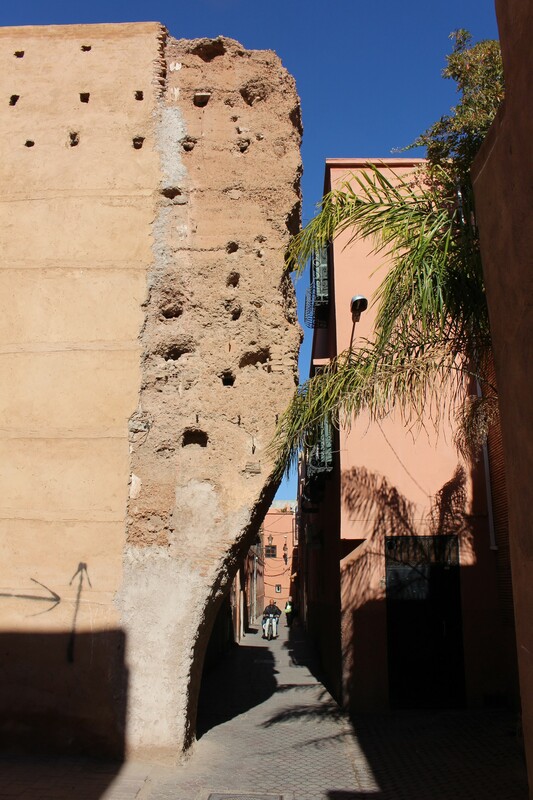 Marrakech never fails to mesmerise all the senses - the exotic sights, sounds and smells. The city has great style, be it the opulence and luxury of the spas and hammams, superb restaurants, verdant gardens and beautiful architecture or its sense of heritage and hospitality.